When the Los Angeles Times reported in July that approximately two-thirds of extra-virgin olive oil (EVOO) sold in California grocery stores isn’t so virgin after all, and that the problem comes from imported olive oils, I dashed to my pantry, flung open the door, and sighed. My EVOO bottle was on the list of claims-to-be-extra-virgin-but-don’t-believe-it olive oil. The alleged EVOO from Italy in my pantry apparently shacked up with cheaper canola, seed or nut oils—thereby losing any hint of virginity. Shame on my olive oil, and shame on Italy. Recently, I slipped into the 7th Annual Olive Festival in Paso Robles, and it was a voyage into the new world of an ancient food. 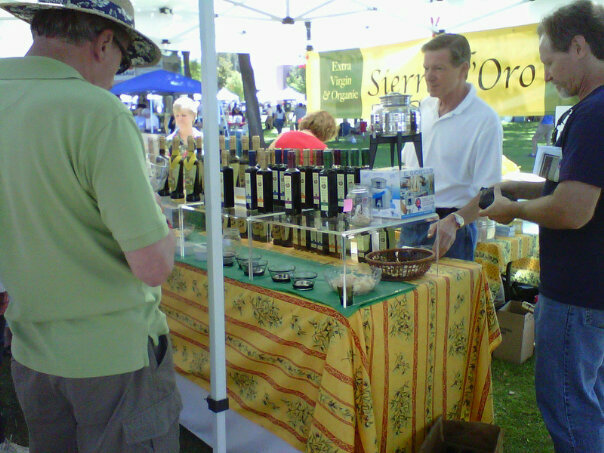 Mostly family-owned farmers/producers poured samples of their oils for visitors to taste. Vendors supplied bread for dipping—but I watched as the purists went directly for the straight on sipping. Without a clue as to how oils are tasted, I chose the purist route. Feeling as though I had O.D.’d on olive oil and I needed an oil-dispersant, I went on to taste some local wines and even locally made balsamic vinegars. And then I bravely threw myself back into the world of olives. 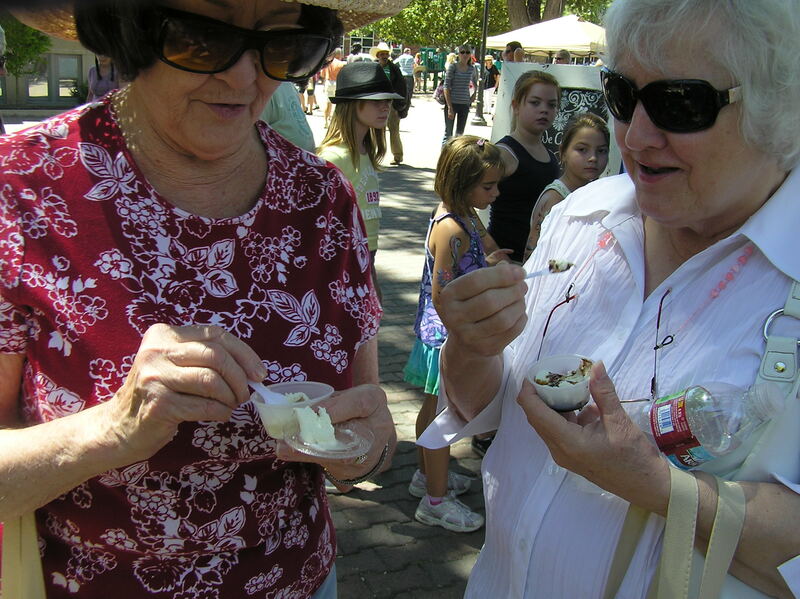 "This olive oil ice cream is delicious, and I love the balsamic vinegar topping," said a visitor. Art and craft booths dotted the festival along with a lavender farm display, salsa and specialty food spread offerings and a stage featuring cooking competitions, tasting seminars and even..I swear on a branch this is true…. olive dancers. Olive festivals are world-wide. California still has olive festivals set for 2010, including the three-month long Sonoma Valley Olive Festival opening December 1, 2010 thru February 2011.